Cedarbrook Senior Living is a growing company that seeks to provide high quality senior living and assisted living services. 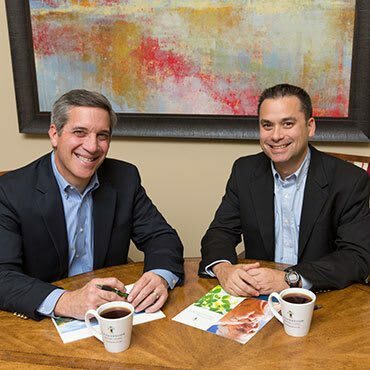 The founding members of the company have been involved with senior housing for more than 20 years. We have also been involved with the development of more than 120 independent living, assisted living and memory care residences. Therefore, you can trust the Cedarbrook name and experience to ensure wonderful places for you or your loved ones to live and thrive. Our philosophy for our staff, residences, and residents is "Celebrating life every day." And we do. 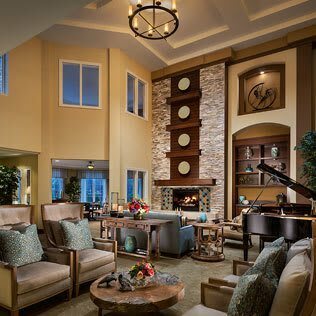 Living in a Cedarbrook community means you will be surrounded with attentive individual care and endless consideration. In addition, residents will have a variety of opportunities to stimulate and enhance their experience: social activities, creative classes, light exercise, off-site activities, intellectual events, shopping trips and more. Our spacious apartments are also welcoming places to relax, unwind with a book and enjoy some alone time whenever desired. My partner, Bob Mercer, and I have each been involved in the senior housing industry over 20 years. Bob comes from the consulting side of the business, where he consulted with operators, lenders and investors on hundreds of projects around the country. I have been involved in investment, ownership, development and construction of senior housing since 1991. This includes ownership of over 120 senior communities in 17 different states. Bob and I worked together on many projects over the years. In 2007, we created “Cranbrook Senior Living”. Cranbrook was formed to acquire existing assisted living properties. We purchased two communities in the western United States. The first purchase was in Tustin, California and the second in Greenwood Village, Colorado. Ultimately, the Greenwood Village, Colorado building was sold in the first quarter of 2013 and the Tustin building was sold in September of 2014. While both of these buildings made good investment sense at the time, after careful consideration, Bob and I determined we wanted to invest our time and our money in Michigan; particularly the Metropolitan Detroit area. I grew up here, I went to school here and have raised my family here. This is where my heart is. To accomplish the goal of becoming the premier senior housing provider in southeast Michigan, we created “Cedarbrook Senior Living”. The Cedarbrook name will be used on all of our future projects. Growing up, my mom had a tradition of cooking a large pasta dinner every Sunday at 5:00 PM. Everyone we knew had a standing invitation to this dinner. It did not matter if you brought guests, they were always welcomed. Dinner was fascinating because you never knew who or how many would show. As my siblings and I grew up, this tradition continued. Long after I was grown and had my own family, my mom had one rule: You will be at my house for dinner Sundays at 5:00 PM (and don’t be late). I asked my mom what exactly she was looking for and she proposed a community that would allow residents to transition seamlessly from independent living to assisted living within the same community, as their need for care changed, eliminating the anxieties and setbacks that repeated moves can cause. So Bob and I decided a Continuing Care Retirement Community was the answer. Unfortunately, my mom passed away three years ago, but before she died she made me promise to complete Cedarbrook of Bloomfield Hills for the benefit of my father and the Birmingham/Bloomfield community, and we are doing just that. Cedarbrook of Bloomfield Hills will open in December 2015. Everyone deserves the peace of mind in knowing their loved one is living in a safe, warm, and caring environment. The Cedarbrook mission is to help people continue “Celebrating life every day”. 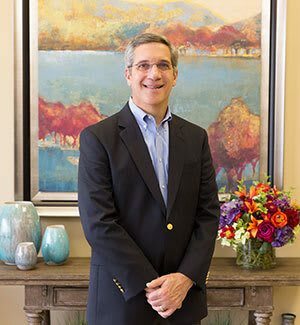 What sets us apart from other senior housing companies is the emphasis we place on personal strengths and relationships, and focusing on the individual capabilities of our residents and providing them every opportunity to thrive. That is the Cedarbrook Difference.